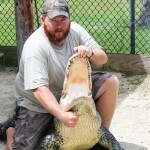 Alligators. They’re exciting! They’re mysterious! They’re dangerous! 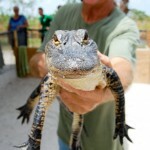 They’re an Everglades must-see! 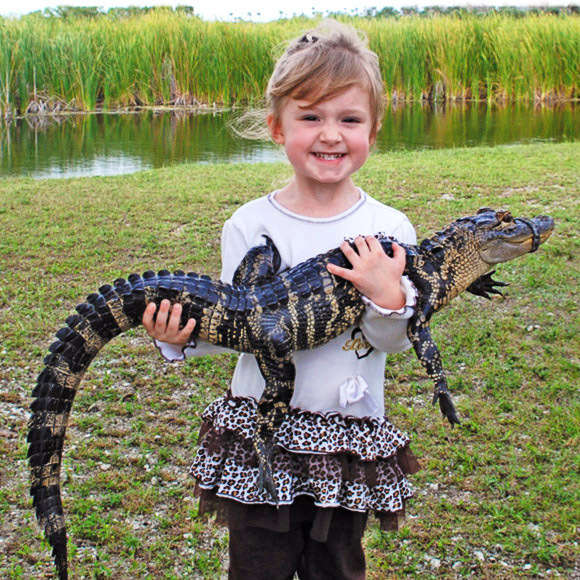 Let you hold and hug your own alligator! Don’t worry! 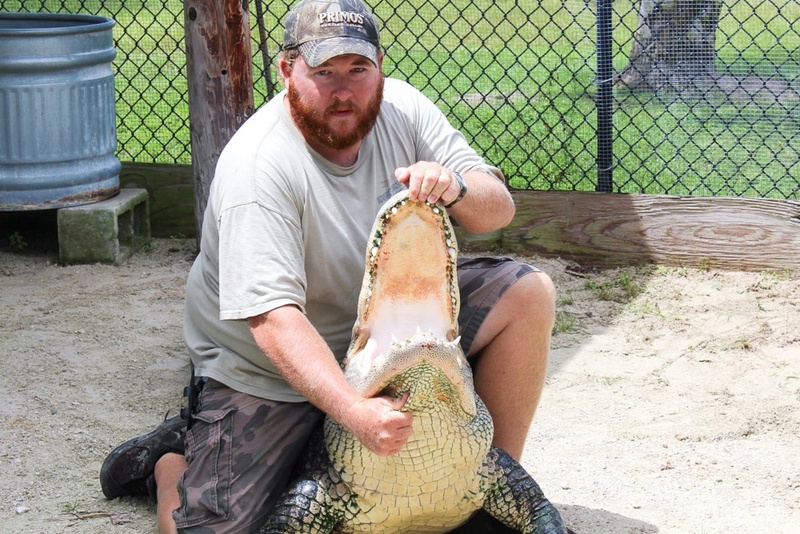 Our handlers will make sure the large alligators stay under control. 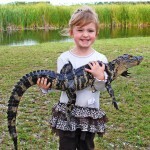 The ones they’ll let you hug are safe, even for kids! 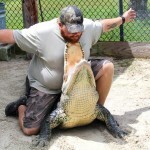 Our handlers have been working with alligators for decades. Your safety is their priority. 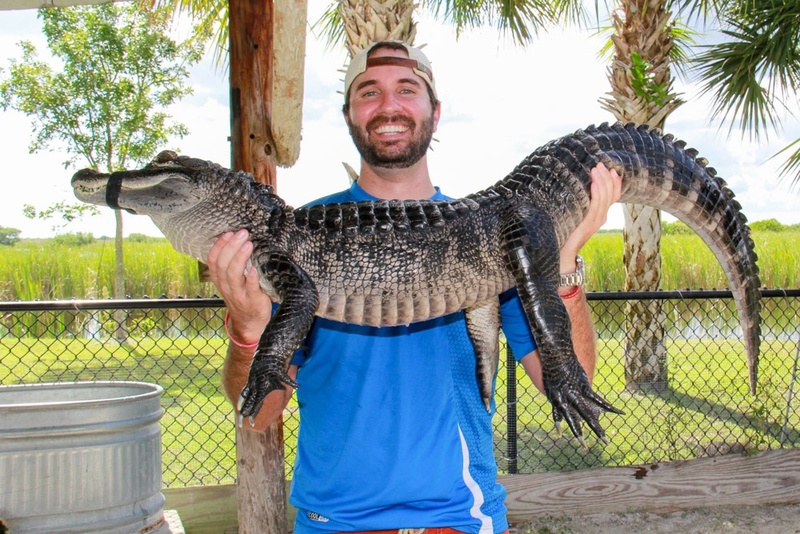 Bring your camera to get photos of you and your group holding an alligator. People back home will love it! If you take a good photo, we’d love it if you shared it on our Facebook wall. 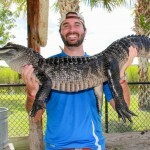 It takes about 15-30 minutes to watch the alligator show and hug an alligator. All ages are welcome. 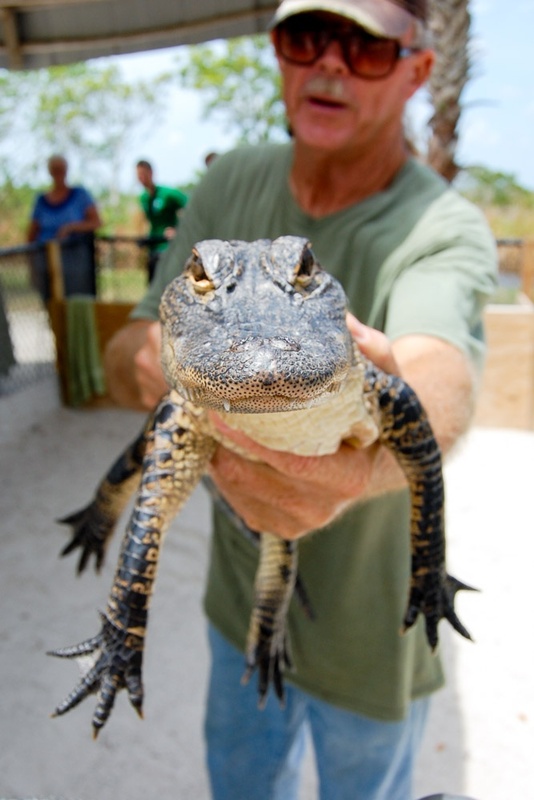 Our Animal Sanctuary & Alligator Park is handicap accessible. 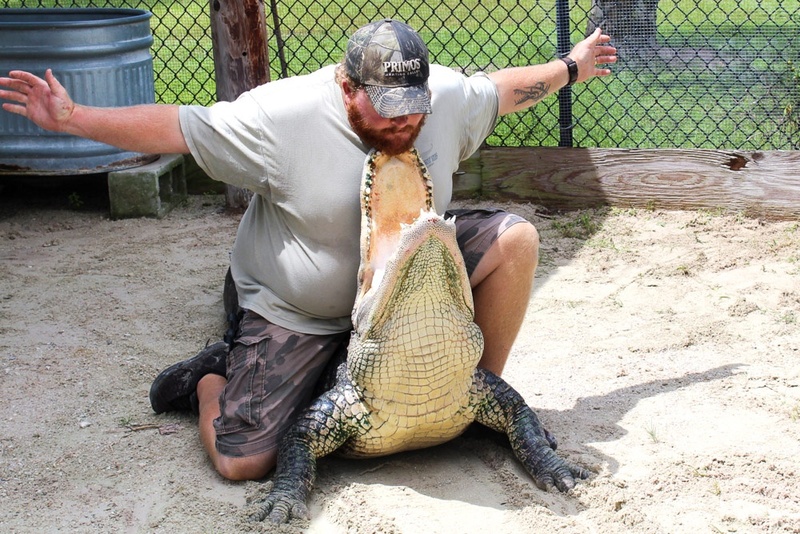 The sanctuary and park are open 365 days a year between 9:00 a.m. and 5:00 p.m. Live alligator shows start every hour between 10:00 a.m. and 4:00 p.m.
Our live alligator shows are a free bonus included with admission to our Animal Sanctuary & Alligator Park. 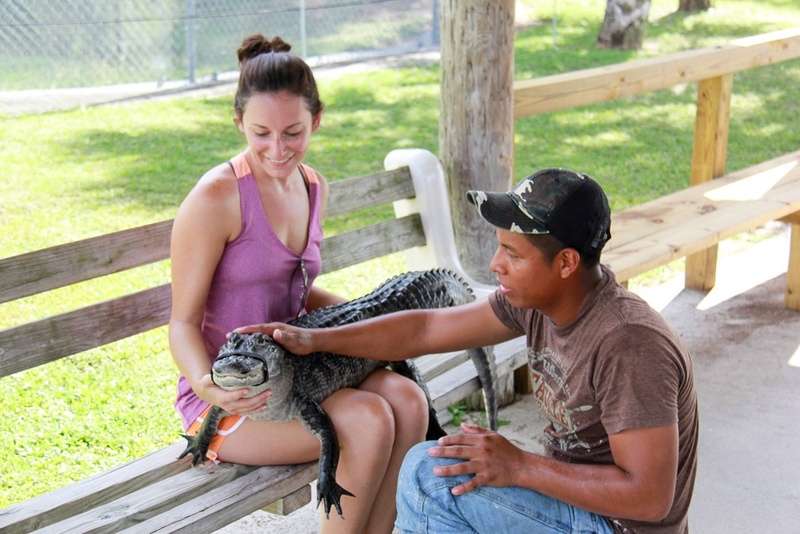 Get free admission to our Animal Sanctuary & Animal Park with the purchase of a Grassland Airboat Tour, Swamp Buggy Tour, or Ultimate Combo.